Investing.com – The dollar slipped lower against a currency basket on Monday, while the euro pushed higher even as Italy prepared to see its proposed budget for 2019 rejected by the European Union for breaching borrowing targets. The U.S. dollar index, which measures the greenback’s strength against a basket of six major currencies, was down 0.10% to 95.28 by 03:50 AM ET (07:50 AM GMT). Market sentiment was boosted after Chinese stocks staged the strongest rally in three years overnight after the government pledged to support the economy, which has been hit by the trade war between Washington and Beijing. But investors remained wary amid an ongoing row between Italy’s government and the EU over Rome’s 2019 draft budget, which the European Commission has slammed as an unprecedented breach of EU fiscal rules. Reuters reported Sunday that Rome expects the EC to request Tuesday that it revise its planned budget, but the government has pledged to stick with its spending plans. Ratings agency Moody’s downgraded Italy’s credit rating late Friday amid concerns over the planned increase in the country budget deficit, but maintained a stable rating, meaning another downgrade isn’t imminent. 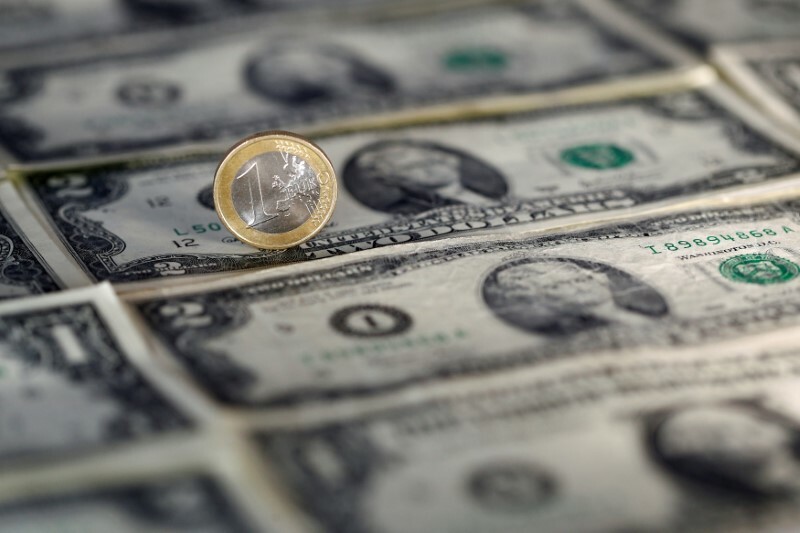 EUR/USD was up 0.23% to 1.1540 as the move by Moody’s eased fears over the prospect of more severe ratings cut, which could push the country’s status into junk territory. The euro was higher against the yen, with EUR/JPY climbing 0.42% to 130.14. The dollar was also higher against the yen, with USD/JPY changing hands at 112.72, up 0.16% for the day. The pound was little changed against the dollar, with GBP/USD last at 1.3082 as Brexit negotiations remained stalled amid British opposition to the EU’s proposal for the land border with Northern Ireland. Next articleVIDEO: MPs have rejected leaving the EU without a deal – so what happens next?